Dunkin' Donuts announced on Tuesday it's dropping the "Donuts" from its name. Dunkin' Donuts, purveyor of, well, donuts and other confections typically ingested in far too much haste, is dropping Donuts from its name starting in January. The company says it's making the move to become better friends with its customers. "After 68 years of America running on Dunkin', we're moving to a first-name basis. Excited to be #BFFstatus with you all," the company announced in a heavy emoji-laden tweet on Tuesday. Although the company will continue to produce doughnuts, the name change is one part of a large-scale makeover for the company that Dunkin' Brands' CEO and U.S. President David Hoffmann said in a statement he believes "will keep our brand relevant for generations to come" as it continues moving toward a "beverage-led" retailer. In 2013, Dunkin' Donuts began moving away from a doughnut-based identity, declaring itself a "beverage company," when beverage sales reached 58 percent. According to the New York Times, that figure has gone up slightly to 60 percent. 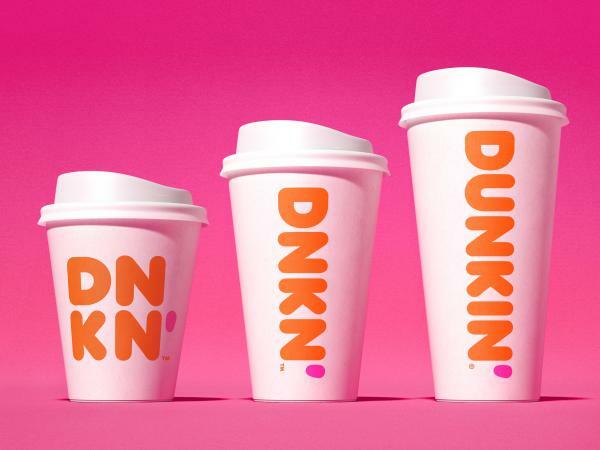 "Our new branding is one of many things we are doing as part of our blueprint for growth to modernize the Dunkin' experience for our customers," Hoffmann said. Among the imminent changes is an overhaul of its store designs, the introduction of new drinks, including cold nitro brew coffee, a mobile order drive-through lane and placing baked goods inside a glass case "within arms reach of the guests" as opposed to putting them in bins behind the register. "By simplifying and modernizing our name, while still paying homage to our heritage, we have an opportunity to create an incredible new energy for Dunkin', both in and outside our stores," said Tony Weisman, Chief Marketing Officer, Dunkin' U.S. The announcement on Wednesday follows a small-scale test-run that started nearly a year ago. Business Insider reported the first shop to drop the Donuts was in Quincy, Mass., in late 2017. The company expanded the experiment in August, altering signs in 30 Boston-area locations and 20 other shops nationwide. Dunkin's move to make its name less product-specific is typical among companies seeking to expand their brand identity into new areas. As Vox noted, Starbucks Coffee was shortened to Starbucks in 2011, when then-CEO Howard Schultz acknowledged, "It's possible we'll have other products with our name on it and no coffee in it." As of Monday, Weight Watchers revealed it will be going by WW. After more than 50 years, the company says the name is a better fit for its new mission to focus less on dieting and more on overall health and wellness. In July, Jo-Ann Fabrics became just Joann. The purpose of the simpler, hyphen-free name is to communicate to new and old customers that the store has more than just fabric to offer, Steve Miller, senior vice president of marketing and ecommerce at Joann Stores, told Adweek. But simpler isn't always better for everyone. Some Dunkin' Donuts fans on Twitter are not on Team Dunkin'. JJ Lair raised a fair question: "If not donuts, what is being dunked? #Dunkin what?" Twitter user, and apparent Arrested Development fan, Bob Loblaw, wrote: "Dunkin Donuts without the 'Donuts' is like renaming Taco Bell just 'Bell' or Burger King just 'King.'" Meanwhile, a slew of people admonished Dunkin' Donuts for following in the footsteps of IHOP, which over the summer temporarily changed its name to IHOb, for International House of Burgers. Although the company claims the strategy worked, reporting an increase in burger sales by 75 percent, it was widely ridiculed by the public. Ryan Sonnenberg tweeted, "At least it didn't change its name to #iHob to get press."